Gregory Joseph (New York City): Comic, writer. producer and lover of all things jazz, Gregory performs throughout New York City and can be heard regularly on SiriusXM radio. Jeremy Alder (Raleigh): Jeremy is a southern comedian with small-town Texas roots. The homeschooled former minister and single dad of four draws on his unique life experiences to deliver thoughtful, surprising takes on relationships, parenting, religion and everything in between. Jeremy has worked with a number of national touring acts, including Aparna Nancherla, Josh Gondelman, Dusty Slay, and Caleb Synan. He is a regular at Goodnight’s Comedy Club in Raleigh, NC and was a finalist in the 2018 North Carolina’s Funniest Person Contest. Lauren Davis (NYC): Lauren is a comedian currently living, laughing and loving in Brooklyn, New York. She has performed standup on Fox, Viceland and Hulu and in SF Sketchfest, Dallas Comedy Festival, and Burbank Comedy Festival where she was voted Best of Fest. Lauren is also a UCB sketch/improv program grad and can be seen improvising with her team Ham Alone- she stubbornly continues to perform comedy in all its forms in an effort to curb any career momentum. Drew Robertson (Raleigh): Drew is a standup living in Raleigh, NC. Drew’s comedy is all over the place, and usually without segways. Some of his jokes hit ya fast like speed and some are time-release like sudafed 12 hour. He has worked with Kyle Kinane, Brian Posehn, Andy Woodhull, and Todd Glass. Tucker Brookshire (Chicago): Tucker is a North Carolina native but you would never guess it. Since moving in 2016 he has chiseled away a dedicated following in the Chicago comedy circuit. He blends a carnival-like delivery with clueless likability to trick audiences into letting him talk loudly into microphones across the country. Tucker is the host of a popular web series called “Untucked” and he dresses very well for a guy in his tax bracket. Yoni Heisler (Chicago): Yoni is a Chicago-based stand-up with a fast paced style who loves blending cutting one-liners with quirky observational humor. Yoni has performed at clubs such as the Laugh Factory and Zanies where he has featured for a number of nationally touring headliners, including Tim Dillon, Gabriel Rutledge, and Dwayne Kennedy. In 2017, Yoni was a finalist in the Cleveland Comedy Festival stand-up competition. Anthony Crawford (Denver): Once dubbed “The Funniest Man You’ve Never Heard Of”, Anthony has been entertaining crowds across the country for almost 20 years. His high energy stories and ability to “paint a picture” has made him a fan favorite on every stage he touches. High Point NC native, Anthony has moved and made a name for himself in the Denver comedy scene. 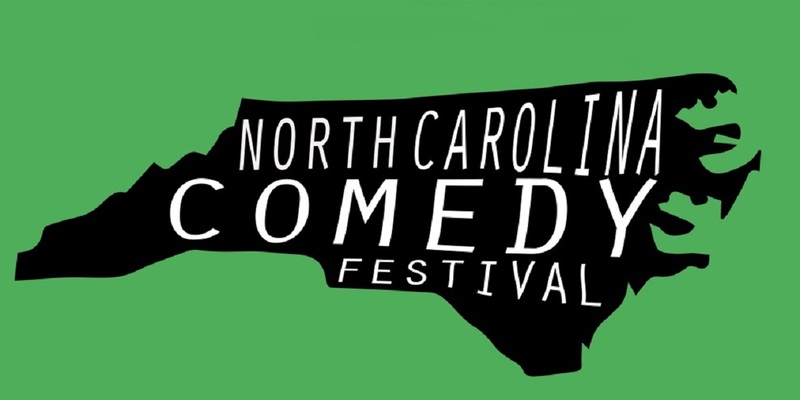 DeJahzh Hedrick (Greensboro): DeJahzh has quickly made his mark on the NC Comedy Scene. Don’t let his demure character off-stage fool you, on stage there is nothing he won’t talk about and make funny. Calling the Idiot Box his home club, you can find DeJahzh doing comedy all across the state. Alex Stone (Winston-Salem): Alex is a comedian and writer from Winston-Salem. He is quirky, fast paced, and adorably rude. Along with being the co-founder of the improv troupe Bunker Dogs Improv, he is also the creator of the webseries The Maker Squad. TK Moyer (San Francisco): Acting as class clown his whole life, TK’s first official comedy performance was in 2010 in Norfolk, VA, where he’d enlisted in the Navy and did stand-up for the shipmates to boost morale. He later moved to San Francisco, performing at open mics that led him to the #HellaFunny crew. They in turn introduced him to prestigious clubs Cobb’s Comedy and Punchline. He later moved to London for acting school, entering and winning competitions like “The Blackout” and “Gong Show” at the famed Comedy Store. In 2017, he moved back to the Bay and picked up where he left off. You can find him nowadays hosting his own open mic at Edinburgh Castle Pub on Monday and Thursday nights, and on his radio show/podcast “Man, Overboard!” which airs every Thursday on FCCFREERADIO.com, iTunes, and Google Play.